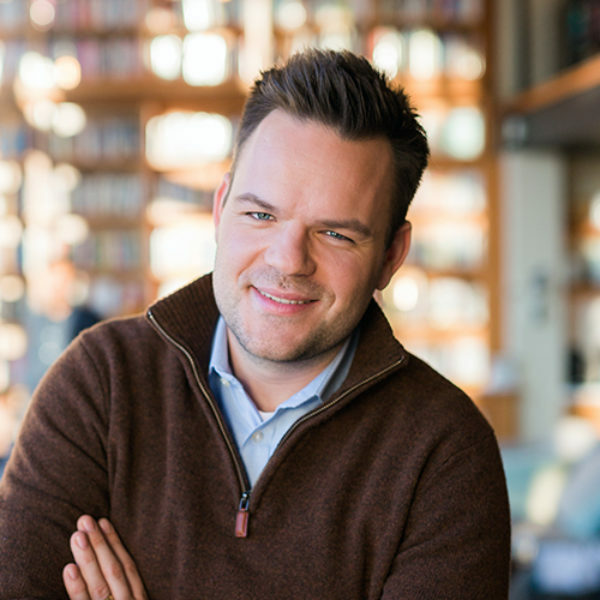 Casper ter Kuile is the executive director and director of possibility for On Being Project’s Impact Lab. 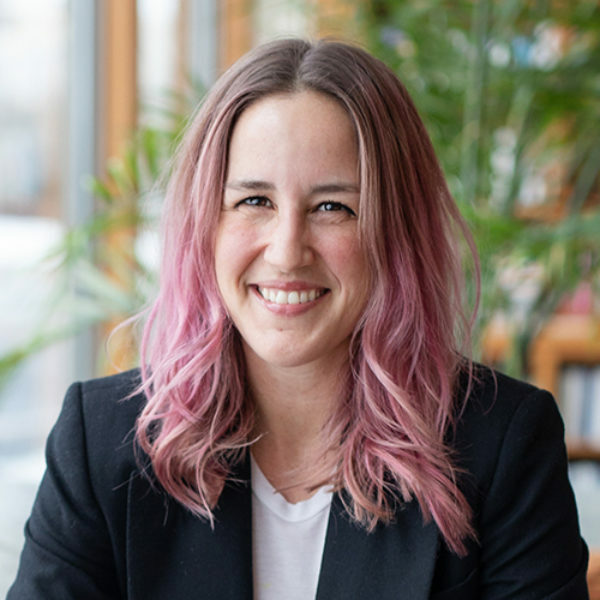 Casper is also the co-host of the totally addictive podcast Harry Potter and the Sacred Text, which explores the magic of that book chapter by chapter and what it can teach us about our own lives. Liliana Maria (Lily) Percy Ruíz is the executive producer of On Being Studios and the host of the podcast, This Movie Changed Me. 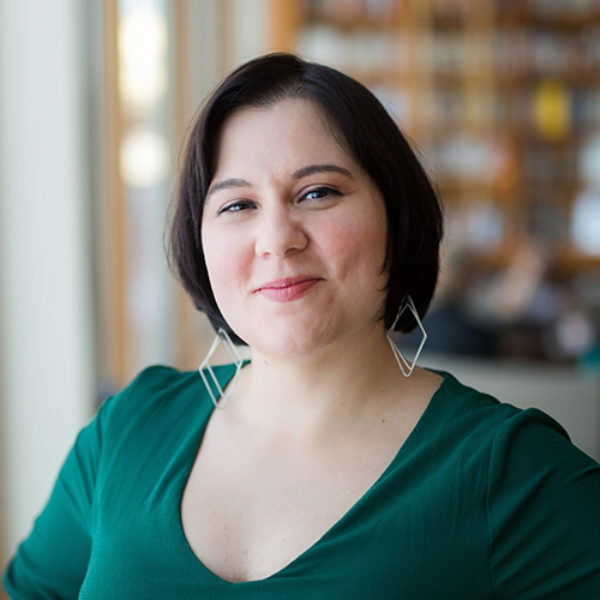 She has worked as an associate editor at MovieMaker magazine, and as a producer for StoryCorps and NPR’s weekend edition of All Things Considered, where she produced the series “Movies I’ve Seen A Million Times." Her work has also been featured on NPR’s Latino USA, WNYC’s Soundcheck, and Esquire. Lily Percy: Hello, On Being community. I’m Lily Percy, On Being’s executive producer. You might also know me from our lovely Fetzer ad: “Support for On Being with Krista Tippett comes from the Fetzer Institute” — that’s me. I speak English; I can. I’m joined by Erinn Farrell, who’s our chief operating officer. Erinn? Ms. Percy: I didn’t even get to introduce you first. Mr. ter Kuile: Oh, I’m sorry. All I need I a name. Ms. Farrell: Oh, weird, you jumped in early. Ms. Percy: [laughs] You’re just constantly waiting for your name to be mentioned, and then you just come in. Casper ter Kuile, the new executive director for On Being’s Impact Lab — is that your actual title? Mr. ter Kuile: That is, yeah. That is my actual title. Ms. Percy: We’re gonna talk about you in a minute; calm down. 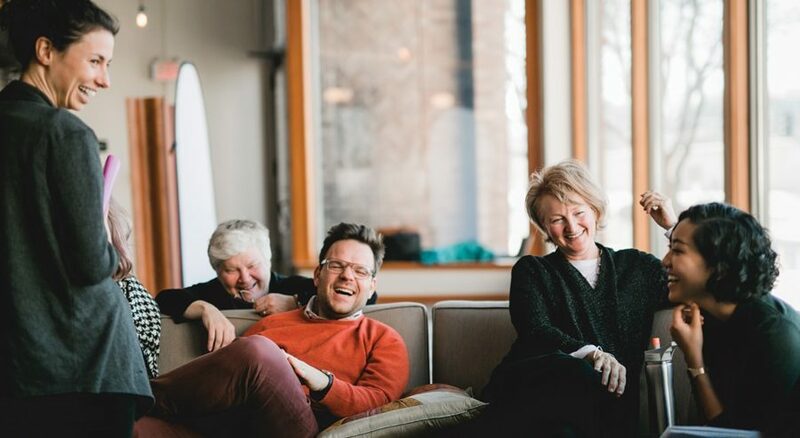 But really, we’re gonna start by asking our beloved leader, Krista Tippett, a few questions, and share with you some exciting updates that are going on with On Being. So Krista, most people, because they’re devoted listeners, know all of the backstory to On Being and how you started it and where it’s come, but I’d love to hear from you in your own words, what is the story behind On Being? How did this all begin? Ms. Tippett: Oh, it’s such a big question, bigger with every passing year; longer. Ms. Percy: And that’s also why you decided, and your team decided, at the time — I think this was 2010 — to change the name of the show from Speaking of Faith to On Being, was this kind of fluidity. Ms. Tippett: Yes. That kind of fluidity, and who we realized was in the audience. So, from the very beginning it was so fascinating, even when the show was called Speaking of Faith, there was, as I came to understand how problematic the word “faith” is. It is a Christian word; it’s a word that’s meaningful for many Christians. It’s not even a Jewish word. It’s not a Muslim word. But ultimately, it was a name we were always having to explain away and overcome, and it wasn’t actually hospitable to the breadth of people who were actually listening. And also, I think, ultimately, after five years, it didn’t describe what was happening in the show, because Speaking of Faith sounds like you’re speaking of certainties and beliefs, and in fact, what I realized is, what we are really exploring, and what allows it to be a really expansive conversation, is the animating questions behind this part of life. So Speaking of Faith didn’t even describe what was going on in the conversations. Ms. Percy: So you were talking about how that name change of Speaking of Faith to On Being happened because you realized that the conversation you were having was really more about questions than certainty. And I know that you often talk about these three questions that you’re always asking, these animating questions that are at the center of your conversation. I don’t think a lot of listeners know what those three questions are. Can you tell us a little bit about them? Ms. Tippett: “What does it mean to be human; how do we want to live; and who will we be to each other?” So I think that in trying to figure out, what is it we’re doing and what should be the name of this show, that’s when I started to understand that everybody I’m talking to — even somebody like Jaroslav Pelikan, who’s the great theologian of Christian tradition and creeds across history — that at the heart of it, also, what everyone is after is this question of who we are and why we’re here and what matters in a life. Ms. Percy: So those questions that you’re talking about, you could’ve continued to ask those questions in your radio show, in the podcast. But then, in 2013, you decided that you were going to start your own production company, start your own company, really, which was first called Krista Tippett Public Productions, [laughs] mostly because you couldn’t come up with any other names. It was a placeholder name. Ms. Farrell: Lizzo made it sound good, though. Ms. Percy: Exactly. And now it’s called The On Being Project. And I’d love for you to tell us the story behind, first of all, why did you even decide this was a good idea? This is a scary idea; it’s something that a lot of people would never even try, because you were successful; you were good at what you were doing; things were working well. Why venture into this new opportunity as a businesswoman? And then, talk a little bit about what you see the difference being between On Being as we know it, as the public radio show and podcast, and then, The On Being Project. Ms. Tippett: In 2011, which was around the same year that we changed the name of the show, we had some extra funding from the Lilly Endowment to do some really deep audience engagement research. And what came back at us was — it’s not that we were hearing anything we hadn’t heard before from people writing to us, but it was such an affirmation of, and so much more a sense of the scale of — that this content we were creating was really entering people’s lives; that it was really entering their lives. They were taking it, they were working with it. It was changing them. It was starting conversations that they felt couldn’t have happened before. It was being used by teachers. There were interesting things people said, like, “I listen to this, and it gives me energy for the work I do” — whatever that work was, as a nurse or a teacher or in business or accounting. And I think that’s nurturing this “Who am I?” question and “What matters in a life?” — just giving people a sense of belonging to something larger and not being alone. I feel like the people who are in our listening community are people who are committed to crafting lives of beauty and dignity and of moving through the hard things that happen. And I think a lot of people feel alone in that aspiration, to varying degrees. And so the other thing we kept hearing is, people hear the show, and they realize they’re not alone; that there’s this web of people out there, in different fields, who also have that desire — that desire for themselves and that desire for our world. So, getting this research back, I just felt like, we have a responsibility to this. 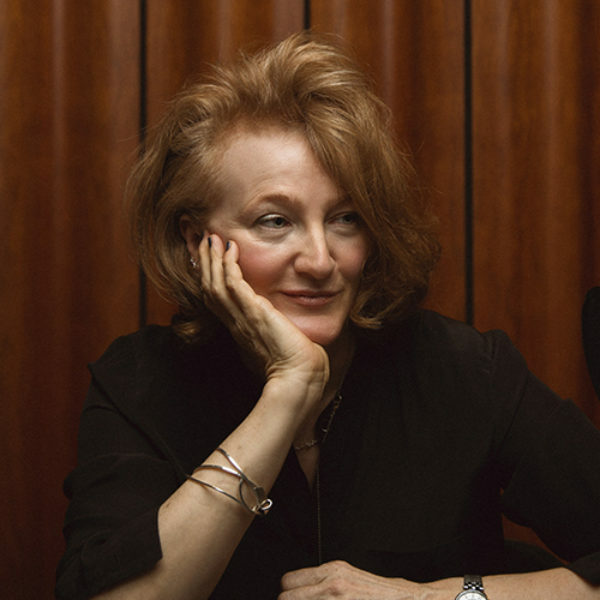 Ms. Percy: And that launched Krista Tippett Public Productions. Ms. Tippett: And that launched — you know I always hated that name. Ms. Percy: So now it’s The On Being Project, and it’s going to be five years on July 1, since you started this company. Ms. Tippett: I know. I can’t believe it’s five years. Ms. Percy: So tell us a little bit about what The On Being Project means, because it’s no longer just about the public radio show and the podcast, On Being. Ms. Tippett: So, again, I think we’re naming something in retrospect. We’re understanding something, and the name is catching up. Mr. ter Kuile: [laughs] There’s a pattern. Ms. Percy: Particularly, the use of the word “project,” which I know was something that was important in that. Ms. Tippett: Yes. Yeah, so we moved out of APM and became this little independent nonprofit. And there were so many things we had to learn on the fly, like, how do you create a little nonprofit and build out a space and, eventually, get a new distributor? And so there was a lot of just building, granular building, in those first years. But there was also this incredible freedom to try things. So there was more Civil Conversations Project, and there was a Poetry Radio Project. And Trent Gilliss was with us then and did a lot of innovative things online. We created the blog. We created the columnists. And we did Your Audio Selfie, we started doing many more live events. You and I are on the road more than, we now realize, we should be. Ms. Tippett: But we really learned how to do that, to take the show on the road. And I think we finally got to the point, after about three years, where we — in this last year and a half, where we really said: We’re moving out of that start-up mode, and we’re really gonna create the organizational depth and operational sophistication to meet the sophistication and the maturity that we now have on the production and content side. And that also means being able to create new and different kinds of content, like This Movie Changed Me, and to experiment with the blog in ways to come. And then, the newest piece that we’ve added to this, which — we’ve now created the Impact Lab, which is very consonant with that impulse of 2011 and five years ago, to serve the impact we were having that we couldn’t — that we didn’t really — we didn’t engineer that; it happened. I think it mirrors, somehow, the intentionality that we — with which we create the show. But still, it feels like this great gift and this great responsibility. And the Impact Lab is now taking us to this whole new level of being able to be of service. And then, here we are in 2018, in a fractured world, in a hurting world — and yet, we’re in this moment of passage, and we’re in this moment of generational change. And I think we’re in a moment where there’s huge culture shift happening, and right now the destructive aspects of that are really on display and better-covered; but there’s a lot that’s new that’s being created; there’s a lot of denial that’s dying. There’s a lot of generative possibility and people living into it, and I think the Impact Lab is just gonna equip us that much more intentionally and practically to meet that. Ms. Percy: It’s fascinating, to me, that this has also evolved to meet the current need. Just how you started Speaking of Faith to meet the need — to basically elevate religious voices that weren’t being represented, now it sounds a lot like you are also thinking, how do we elevate the voices of bridge people, something you talk about often. And that seems to be the need. Casper, I’d love for you to talk a little bit about Impact Lab, which Krista is referring to, and what you envision for it and what your role is in it, as well. Mr. ter Kuile: Well, it’s such an exciting time, for all of us. So, together with my two colleagues, Sue Phillips and Angie Thurston, I’ve been working on a project based at Harvard Divinity School, so in partnership with the aforementioned Fetzer Institute, really trying to serve an ecosystem of new communities and new community leaders that are emerging, as these shifting sands of spiritual and religious affiliation change around us and, particularly, thinking about reconnecting intergenerational relationships — matching younger community leaders with elders, for example; hosting gatherings where these leaders might find spiritual resources to sustain them in their work. And the more that we were in relationship with Krista and the On Being team, the more we realized, we’re really connected here. This ecosystem we’re all working within, we really have a shared mission. So, together we’ve created this Impact Lab, which is really a space for us to try and go deeper. The conversations that Krista has with her conversation partners on the show, what does that look like in our lives? How do we develop the virtues that we talk about, in our parenting, in our workplace, in our civic relationships? And so we’re really exploring this, in some ways, very old-fashioned word of “formation,” of becoming the kind of people that we are meant to be, in some way; that we are called to be, especially in this moment, and thinking about what are the spiritual technologies that can help us develop those virtues. So, we are thinking of all sorts of projects, big and small, which everyone will be hearing about very soon, in the coming months and years. But really, that’s our key question, is to figure out how can we offer formation experiences and products and gatherings that will help all of us live into the fullness of who we can become. Ms. Percy: And we had — speaking of gatherings, we had our first On Being Gathering, this past February. Mr. ter Kuile: Yes, we did. 500 people. Ms. Percy: I’m so curious, actually, to hear from you, knowing about all the work that you’ve been doing to form community, how did that gathering inform the Impact Lab and what you envision for it? Mr. ter Kuile: So important. It was an opportunity, I think, for so many of us who love the show to come together and see, as Krista was saying, that you’re not alone, [laughs] because — one of the beauties of audio is that it is so intimate, but the downside of that is that it is, often, solitary, and so you don’t feel that sense of connection. So to be in the same place, amongst the redwood trees of California, there was a very special — a sense of togetherness and a sense of shared mission, almost; that each of us might be living out this ethos in different spheres of work, professional life, and our own familial, personal settings, but a shared sense of direction and a way of doing — or, a way of being. That’s really what I’m trying to say. Mr. ter Kuile: And that’s how we’re gonna do this work. And so, to embody that, even for three, four days, was such a special thing, and to hear what our listening community wants more of, that they want to be together more; they want to dig into these conversations themselves. So it’s been incredibly inspiring and, yes, we feel the excitement and energy of what’s possible. Ms. Percy: And the need. Ms. Farrell: The need; totally. Mr. ter Kuile: Because I think, in this moment where so many of us are skeptical of our institutions, often for good reason, to be a place that people trust and want to hear from and learn from and engage with, it’s such a privilege for us to try and serve that need. So watch this space. More news soon. Ms. Percy: Erinn, I’d love for you to talk a little bit about your role in the creation of The On Being Project, because in many ways, actually, the retitling of this company happened after you came on. And I just would love to hear a little bit about what you’ve been working with since September, when you first came on — I know, which is crazy to think about. Ms. Farrell: [laughs] Isn’t that hilarious? Ms. Percy: Yeah, and your own vision for what this can be. Ms. Farrell: Well, it’s been about — I joined in September of 2017, and it’s been about eight months or so. [laughs] And it’s just — it’s pretty extraordinary, the amount of hard, hard work that has happened in that time, across our entire project. I felt incredibly lucky and full of gratitude to walk into a space that — obviously, the content was so, already, extraordinary and connected, and helped connect so many people in their lives. And in eight months, we’ve nearly tripled in size. We’ve added multiple new areas within the organization. We’ve held our first big gathering. We’ve continued to keep to the very aggressive production schedule we already have. And I think that it’s also very organic to who we are. I think all of the questions that drive On Being already are the questions that we had to really ask ourselves, and then, to create a work environment and a shared space and a community environment that also lived up to all of those virtues and values itself. We talk a lot about hospitality here and what that means to us. And it’s not just about grabbing water or having a nicely laid table. It’s really helping to meet people where they are. And The On Being Project, I think, is so primed with just this extraordinary staff to reengage with our community in a new way and to deliver on this hospitality, to meet people in so many different places, and to just carry forth all of this beautiful work that started when you started this organization just a handful of years ago. Ms. Percy: I love that you mention, Erinn, two things, which is hospitality and, also, community. As a Hispanic person, that is the tenets of being Hispanic, is — eating, as well; so it’s community, hospitality, and food. But I think those are two key things to everything that we do at The On Being Project. And community, in particular, is something that I feel so proud of, that we engage with our community in the way that we do. And I know, one way that we always did — and this is the reality of the departure of Trent Gilliss — was with the newsletter, which was his. He very much owned it and was the voice of it. And when he left the company at the end of November, we all decided, we’re gonna take a pause and step back and listen to our community and the needs that they have from this newsletter. And I know that we’re preparing ourselves to launch. And I wonder if you can give a little preview to the listeners about what they can expect from this experiment, moving forward, as far as our newsletter is concerned. Mr. ter Kuile: Well, the language of “pause” was exactly the right word to use, because our newsletter is called The Pause. Mr. ter Kuile: That’s how good you are. Ms. Percy: That’s how good I am. That’s right. Mr. ter Kuile: But it’s really an opportunity to do what Erinn was just saying, in terms of reflecting back to the community, the community itself in some way. So, we’ll be sharing our favorite things that we’ve seen online over the last week. We’ll be, obviously, sharing the most recent episodes of On Being. Ms. Percy: Other content on our blog, as well, and our content in our other audio spaces. Mr. ter Kuile: Absolutely, yeah. So it’s really gonna be a place where, we hope, a conversation can continue. And that’s really just the first thing of a number of things that are going to be shared with our community. And I think, often, of one of my favorite conversations that Krista had, which was with Jean Vanier, the founder of L’Arche. And somewhere he writes that if a community is only for itself, it will die — which I thought was so striking, because I think that’s one of the things that I’m most passionate about, as we think about building community and building relationships, is that it isn’t just for itself; it’s for a world transformed in some way. And so I think, whether it’s our audio work or Civil Conversations prompts through the cards that we’re testing at the moment — if each of these can accompany people and encourage people to live more boldly and to go out into the world and build what they dream is possible, that’s really what I hope our community can accomplish in some way — or can be, as it lives. Ms. Percy: And I know, Krista, one of the things that really energizes you, when you’re on the road and meeting people, is the conversation you have directly with them and the questions that you’ve received. Ms. Tippett: That’s so important, yes. Ms. Percy: And I wonder if you can talk a little bit about how you envision opening new opportunities for that, just here in the company itself, and how you’re thinking through that. Ms. Tippett: What I’ve experienced, over and over again in just so many different places, so many different settings, is what a countercultural cross-section of humanity we have in our media space, which I — again, I feel like is such a treasure. Ms. Percy: It really is. Ms. Percy: It’s also why we have burnout. Ms. Tippett: This is why we have burnout. So I feel good about the fact that here we are, as this project; we’re focusing on that human piece of it. And so, and somehow, that’s always been woven into — there’s a human touch, in terms of how we create the content and how it seems to be received, and even in our digital spaces. And I think, in this period of rapid growth, these are the questions — we haven’t been able to do everything at once, and so these are the questions we’re really taking up now; how do we really create a social presence to match who we are and all these things that are going on? And we’re on that. I do love being out there; and then, I also get really tired, as Erinn said. [laughter] And so I do feel like, as this team gets in place, I feel like part of the space that opens up is that I am more out in the world. I like speaking; I like being — there’s something, of course, that’s amazing, to have a conversation that a million people are going to be listening in on at some point. But it’s also really — it can be just really important, what happens in a room with 50 people, or 500 people. It’s a different kind of impact, but it’s just as important. I love — I guess I’ve realized over time, I believe in conversation, and I like both sides of a conversation. Ms. Tippett: So I really like the having-questions-coming-at-me part of it too. So we’re talking about, and what you and I are talking about, starting something where, every week, maybe we’ll find a way for people to surface the questions on their minds and then, for me to just respond to something for 15 minutes every week. And whether that becomes part of the Becoming Wise podcast or the On Being podcast, or whatever we do with that, I’m excited about that, about building in this kind of reciprocity and this two-way exchange, or multi-way exchange. But this is the fun part, now that Erinn has helped us create capacity; that we can also play now. We can play at a different scale. Ms. Percy: Yeah, in February. I had a certain guest talk about You’ve Got Mail. Mr. ter Kuile: Episode 3, I think; it was a real standout. Ms. Percy: Yes, it was Episode 3. Ms. Farrell: Feel free to skip that one. Ms. Percy: It was Casper talking about You’ve Got Mail, just in case you don’t get that. Mr. ter Kuile: Best movie ever. But tell us a little bit about your vision, going forward, as we think about expanding our podcasting home. Ms. Percy: Well, I’m really excited about playing, as Krista talked about, and experimenting. And I think one of the things that we talk about here, collectively, when we think about growing On Being Studios and a podcast portfolio, which sounds so fancy — is having the opportunity to give voice to people who aren’t being given that opportunity elsewhere; but then, also, making sure we’re listening to our community for what they need and want from us. So, thus far, it’s taken the form of This Movie Changed Me, which is a different kind of pop culture podcast, but really has a lot of the same questions of meaning that Krista asks on On Being. And then, we are thinking through what was once called Becoming Wise — may be called that, may be a different name; and thinking through what that should be — we’ve heard, for a long time, from our listeners that they’d like to have the option of shorter-form content to accompany them when they don’t have 51 minutes to listen to On Being — just really thinking through what that should look like, what should that short-form content be. I think, one of the things that I find so fortunate and that I’m grateful for, working here, is that we give a lot of time to asking, “What’s the best thing for our community?” It’s not just what would make us the most money, or what’s gonna get us that listenership or in the top ten of Apple Podcasts. It really is, “What do they need from us?” And we take that very seriously. And so, moving forward with this portfolio idea of podcasts, that’s gonna be at the center of it, is: Who do we want to partner with? What kind of content do we want to create that is going be additive? Mr. ter Kuile: That’s so exciting. Ms. Farrell: I really admire, Liliana, what you’ve also created, alongside Mariah Helgeson and Kristin Lin as part of our editorial team — what you guys have done with the blog and in our dot-org spaces, as well, in really shifting the approach and testing new things, and then, also, bringing in so many just extraordinary voices. It’s been really incredible to see how you guys have continued to evolve that space. 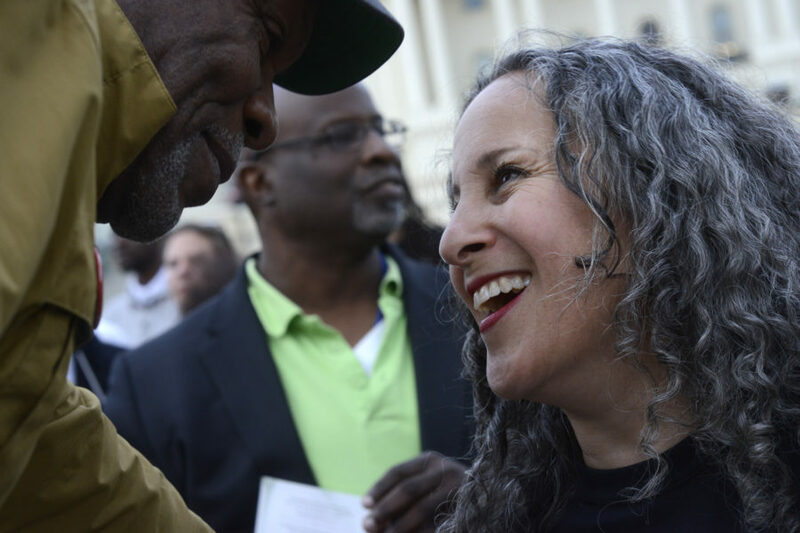 Ms. Percy: I’m so proud of the blog, because it’s something that’s singular in media companies; in particular, in other programs that have public radio shows at the center of them, like we did. And obviously, now, the podcast is a huge community for us. But no one else has a blog the way we do, that is just as thoughtful and additive, and also, that’s lifting up voices from people, again, that aren’t often heard in media spaces. And I think it’s just one of the many wonders of The On Being Project. So, final thoughts, as we wrap up our conversation here. Krista, I’d love to hear you talk about what our community can expect from us as we move forward. Ms. Tippett: One of the most important moves we made as a project, a long time ago, was to be listening; to be a listening project. And so, yes, there are conversations where I am an interviewer, and I’m listening to my guest. But I feel like it’s something we were all doing collectively. And we were listening to the world, and we were listening to the culture. We were listening to this evolving encounter we’re having with the spiritual part of life and with traditions and with moral questions and with spiritual formation. That is all just rapidly evolving. What I now see — I wouldn’t have said this, 15 years ago — I now see that this is the first generation of humans, the first generation of people in our species who are essentially crafting their own spiritual lives, which is full of possibility and freedom, and also, very stressful and unnatural. This has been a given; this was inherited stuff. That’s why we get to this moment of 2018, and it felt like we had also walked to this place where we can help meet this moment and bring something to be a nourishing force in this moment. And so I just think, if we keep walking forward and creating and innovating in that spirit, most of what we’re going to do we can’t predict right now, because it is going to emerge from what is happening, and we are going to be paying attention. Ms. Percy: Which means that we’d love to hear from our community. Ms. Tippett: Yes; we will co-create that. Ms. Percy: Which means: Email us. Please tweet at us. I don’t know what the verb for “Facebooking” is. “Facebook” us? I don’t know. Ms. Farrell: [laughs] Message us. Ms. Percy: I’m, like, 85. This is basically what I’m learning. Message us on Facebook. Ms. Tippett: [laughs] You’re an old Millennial. Ms. Percy: With comments on Facebook? What happens on Facebook? Ms. Percy: Exactly; yes. But really, I treasure — we all treasure — we talk about it weekly, how important it is to hear from you, our community; our community of listeners. So please, let us know what you need from us, and continue to just be in conversation with us as we move forward. Mr. ter Kuile: Thanks, Liliana. Ms. Percy: Thank you, guys. Ms. Tippett: That was fun.